Sterling Silver Baby Elephant Charm. 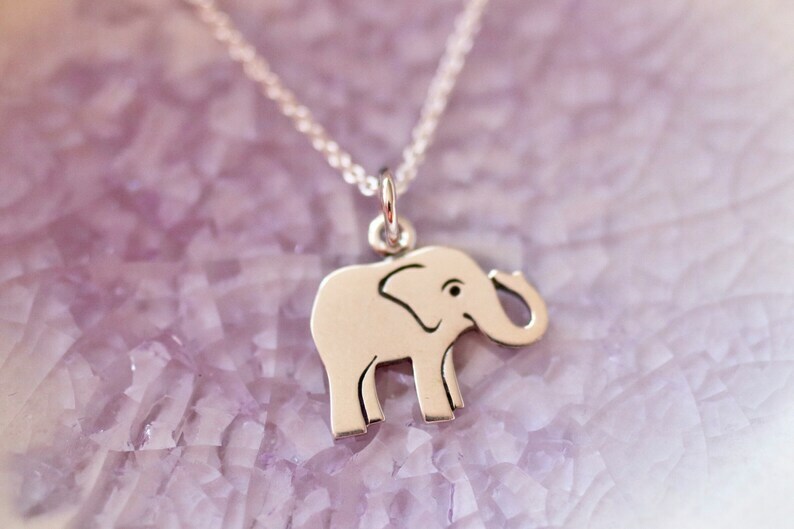 This playful and cute elephant charm is so adorable. This happy elephant is likely to be found traveling in a group, and staying close to it's favorite watering hole. Elephants also symbolize power, strength and good luck. This adorable charm would make a lovely piece of jewelry for the animal lover in your life. Perfect also for the new mom! Baby Elephant Charm measures 16mm x 14mm. Choose from 16 or 18 in length our Sterling Silver rolo necklace to make it perfectly yours. All of our items come in a keepsake box and are ready to be gifted.